Wrap yourself in gorgeous purples and deep yellows. 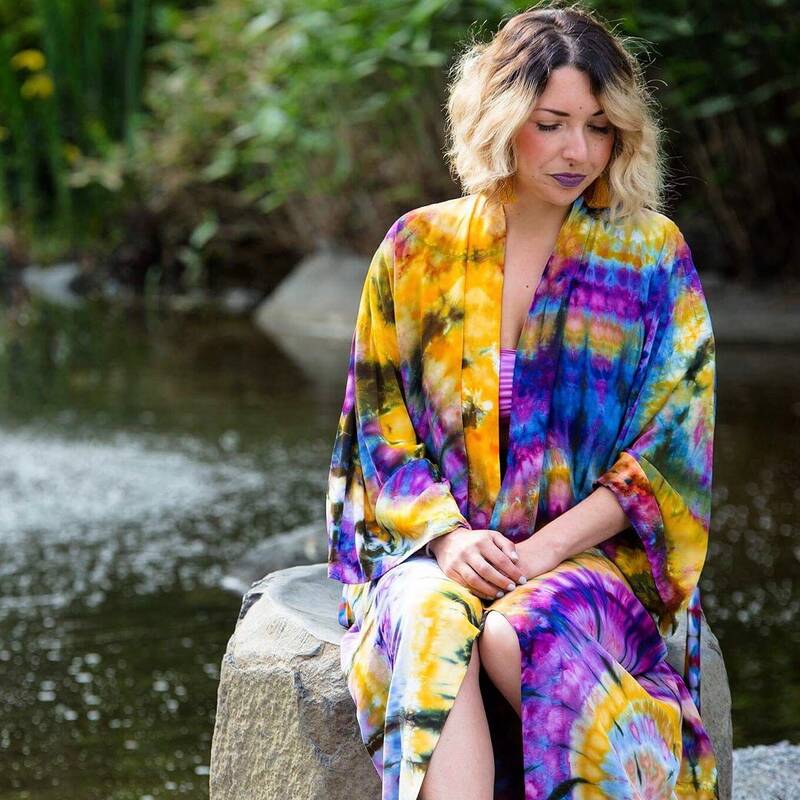 The perfect summer kimono made of 100% rayon and dyed by us. We use fade free and bleed free dyes. Comes with detachable belt. 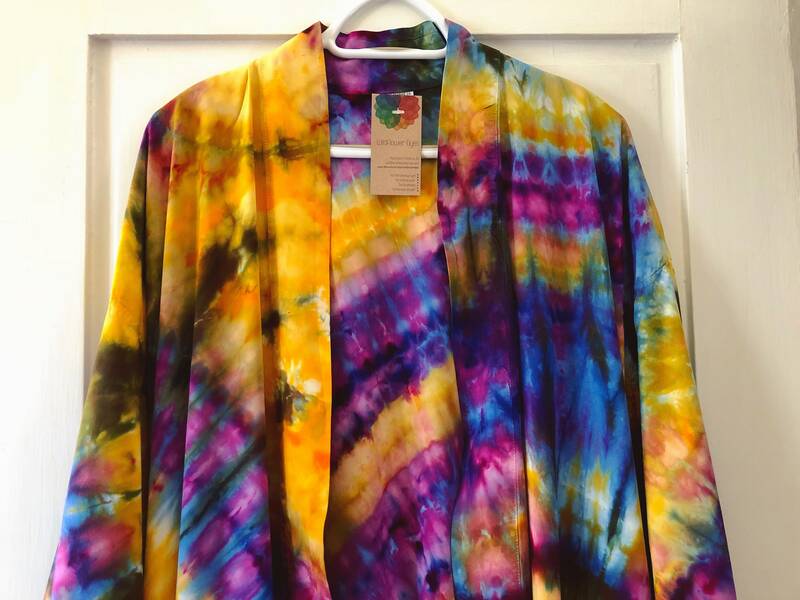 Its great for lounging around the house or wear it as a duster to your next music fest. One size fits most.